There are many steps taken to produce the jewelry we wear or the gemstones we put in the settings. The LC wants to shed some light on the extraordinary people who help create the exquisite designs we feature. 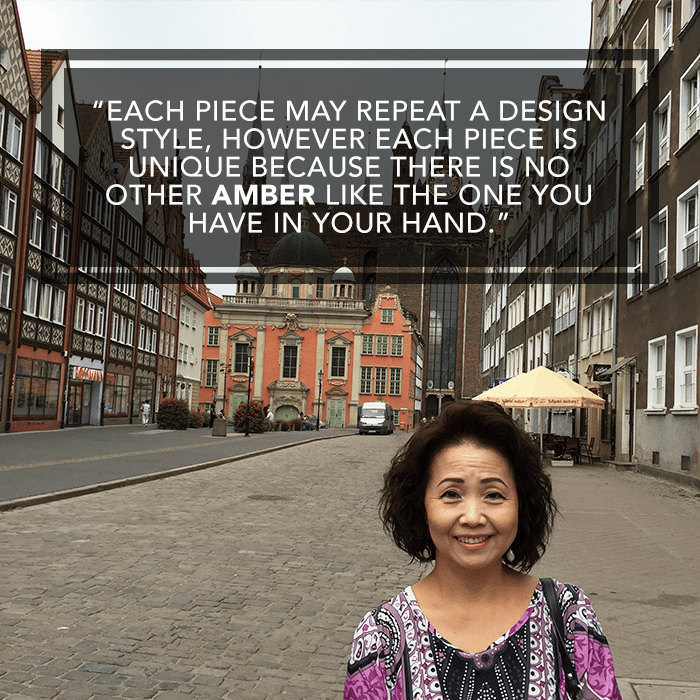 Continue reading to discover more about our Baltic Amber guest host, Alice Lo. 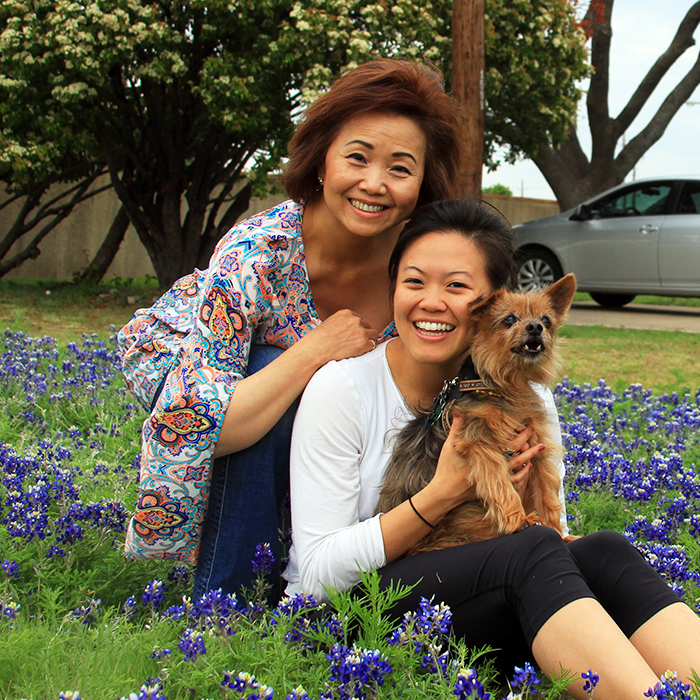 Currently residing in Plano, Texas, Alice has been designing amber jewelry pieces for over 20 years. Her design studio, which is also shared with her daughter, Teresa, was founded in 1991. It has achieved international recognition for producing only the best quality Baltic amber jewelry designs. Known as a “window to the past,” she draws her inspiration from nature’s amber. 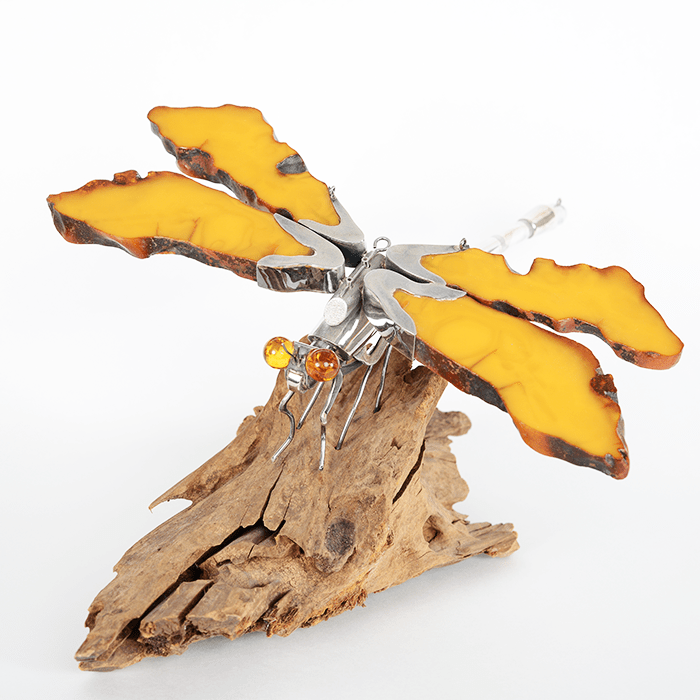 Once, a dragonfly was immortalized in a piece of amber, and this inspired her to sculpt a dragonfly with amber wings. While w atching an artisan craft her jewelry piece, she recalls how it stirred her senses of sight and smell and how it released the fresh scent of pine. “As the rough amber begins the process, it is hard to believe what the final outcome will be,” she said. “It is difficult for me to select just one. Each piece may repeat a design style, however each piece is unique because there is no other amber like the one you have in your hand,” she said when asked about her favorite piece of jewelry. We are thrilled to be able to bring you exquisite jewelry pieces by designers such as Alice Lo. Please tune in Saturday from 12 p.m. to 11:59 p.m. CT to see her guest host on air as she shows you more of her unique amber creations!